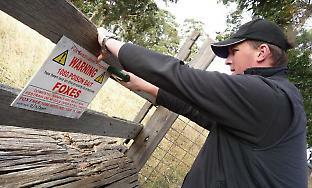 Fox Baiting in Tasmania: What’s at Risk? It’s first light in Tasmania, and across the island thousands of native animals are returning to daytime refuges following a night feeding in pastures and paddocks surrounding cities and towns. These fragmented landscapes, where agricultural land mixes with tendrils of remnant bushland, are rich in resources and attract a wide variety of native wildlife, often to the displeasure of farmers trying to protect crops from hungry wallabies and residents trying to sleep while unruly possums raid rubbish bins. Such landscapes are also ideal habitat for foxes.